Under the Greenwood Picturing British Trees - Present, the new exhibition at Gerald Moore Gallery, South East London, looks at how artists working today are still drawing inspiration from the British tree. Thirty two contemporary artists including Turner Prize 2011 nominee George Shaw and Old Elthamian Jemma Appleby, have been invited to contribute a work, which shows how trees figure in their art practice. The exhibition examines their different approach from the digital manipulations of Dan Hays, Christiane Baumgartner and Katsutoshi Yuasa to the plein air paintings of Michelle Dovey. David Nash's Ash Dome takes on new meaning in the light of the latest fungal threat to our native trees; George Shaw revisits the childhood mysteries of a patch of urban woodland, while Ann Arnold, Graham Arnold and David Inshaw imbue the Wessex landscape with a sense of magic and wonder. Hannah Maybank, Mick Moon, Anthony Whishaw and Paul Winstanley explore the threshold where, as the light fades, familiarity and reassurance meet otherworldliness and doubt. Contributing Artists: Jemma Appleby, Ann Arnold, Graham Arnold, Jo Barry, Christiane Baumgartner, Philippa Beale, John Blandy, Tim Craven, Michelle Dovey, Dan Hays, David Inshaw, Abi Kremer, Ffiona Lewis, Elizabeth Magill, Hannah Maybank, Fiona M. E. MacIntyre, Mick Moon, Paul Morrison, David Nash, Howard Phipps, Michael Porter, Lisa Ruyter, John Salt, Nick Schlee, Celia de Serra, George Shaw, Lesley Slight, Alice Stepanek and Steven Maslin, Anthony Whishaw, Paul Winstanley, Clare Woods, and Katsutoshi Yuasa. The exhibition was developed by St. Barbe Museum and Art Gallery and produced in partnership with Southampton City Art Gallery. 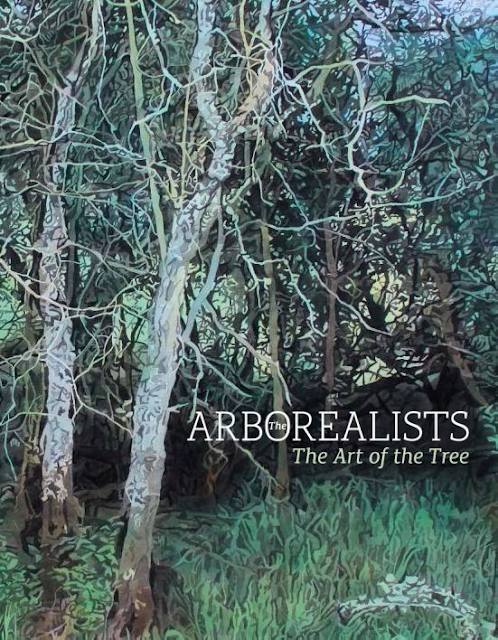 A fully illustrated catalogue covering this exhibition and its sister exhibition, Under the Greenwood Picturing British Trees - Past and Present is available.